The Road Race! I’d been looking forward to this all week and having done Ok in the hill climb I had confidence that I had the power to stay with the leaders. A course described as undulating I was hoping for some good climbs where we could shed some heavies and make a decent selection. So I told myself I was going to sit in. As it happened the course was fairly flat with one small kick, so the heavies couldn’t be shed. After a long neutralised roll out we were let loose. The attacks started straight away, a couple of strong looking lads went and they seemed to be getting a good gap and the bunch were just looking at each other. So my ‘sit-in’ tactic went straight out the window. I attacked and got a gap too, I worked hard to get across and before we could all get a rhythm going the chase behind had started. Our early break came to a swift end. More attack and chases ensued all to no avail. The first lap was fast and if that continued it would be a short race. Half way round lap 2, 3 riders were away. There was a brief chase that came to an end just as we hit the top of the little kick. I was positioned near the front and the 3 were still away. Just then from nowhere Craig flew past us all with an attack no one could have got on the back of. It was blistering! He got away in no time and when we turned the next corner he was out of sight. Clearly on a mission to correct his previous days mishap! With a man up the road, I sloped back in to the bunch for the others to do the work. The next few laps were hard. Not made any easier by a scary descent on a twisty, freshly stone chipped road surface. I made the decision to sit on the race leaders wheel and follow his moves. Once I was on his wheel the race seemed a lot easier. It shows that if you know what you’re doing, you don’t have to put in much effort to stay with the pace. With 3 laps to go Craig rolled up next to me and asked if Karl was up the road… “what the…” I said “I thought you were up the road!” It turned out that the early blistering attack and break had soon been neutralised while I was hiding in the bunch. 2 laps to go there was a decent break up the road and Craig went again with a perfectly timed attack. The bunch was sat up and Craig got away. Karl made his way to the front and like a top Domestique, he worked really hard to disrupt any chase. 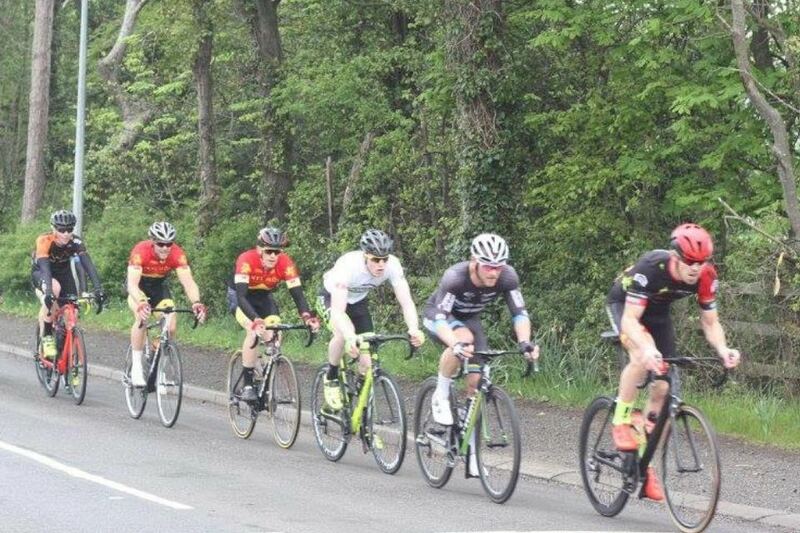 With a group of 10 away, which had riders in it such as Andy Martin, Dan Whelan, Jonny Freeman, Dexter Hurlock and our very own Craig Battersby, it was never coming back. They rode well together to hold off a pack that was by no means going slow. On the final ‘climb’ 3 riders were dropped leaving 7 of them to fight for the sprint. The final straight came after a sharp right hand bend on to a 400m incline up to the flag. As they turned the corner the first 2 riders jumped and got away. 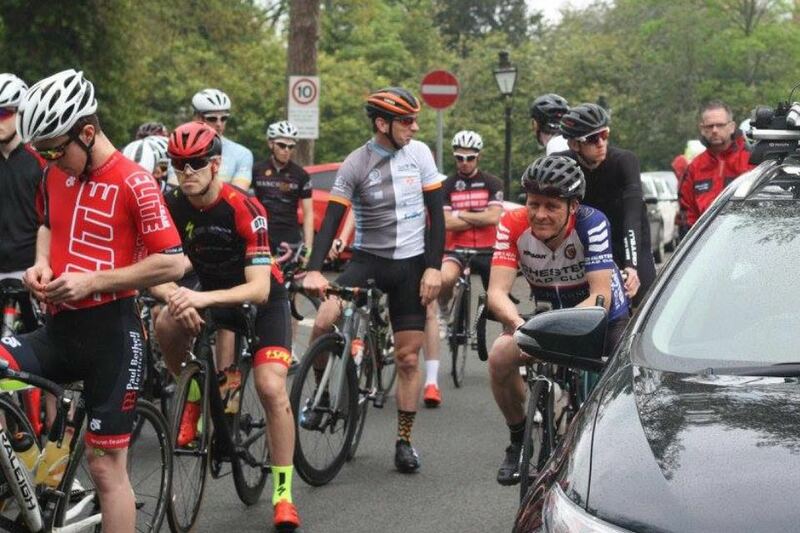 Craig held on and put in a heroic effort to pip sprint legend Andy Martin to 5th place, a brilliant way to put right his disappointment from the hill climb. Back in the bunch I attacked with about 1k to go because I didn’t fancy a sprint. I’d got a small gap but when I looked back, the wheel I’d been following all race was burying himself to bring me back. Once caught, I found myself sliding back down the bunch but as we hit the sprint I found some last ditch energy to have a go. I made up a few places past those who’d gone too early but it wasn’t enough. I finished just outside the points in 21st with Karl, BamBam and Paul rolling in with the rest of the bunch. 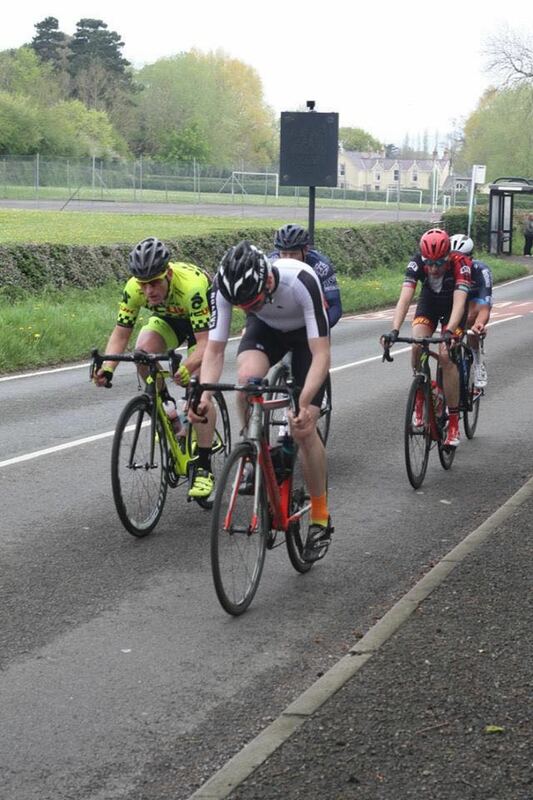 Commiserations to Ste who punctured on the 2nd lap. Overall we all had a great weekend with some good, tough racing. These North Wales events are turning out to be spot on and we’re all looking forward to more….